We are all familiar with Henry Wadsworth Longfellow’s famous poem recounting the exploits of one of our most renowned patriots, Paul Revere. As such, we all know that Paul Revere singlehandedly warned the Massachusetts countryside of the coming attack by the British regulars, helping the colonists to defeat the British in the first small battles of the Revolutionary War. The focus on Paul Revere. The midnight ride of April 18 was actually undertaken by several men, including William Dawes, Samuel Prescott, and dozens of other men whose names did not survive history. Longfellow (and history) gave Revere the credit primarily because his name rhymed better than Dawes’s or Prescott’s. The lantern signal. While there was a lantern signal hung in the tower of the Old North Church, the signal was not meant for Revere. 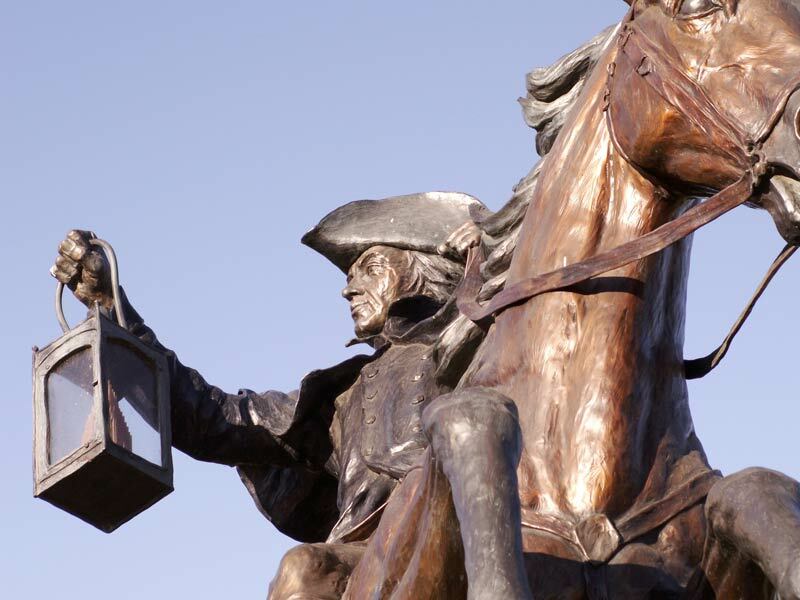 The signal was actually from Revere as he was the man who arranged for the church sexton to hang the lanterns. Revere’s success. The poem implies that Revere’s mission was a complete success. Revere had intended to ride to Lexington to warn John Hancock and Samuel Adams of the movements of the British regulars (which he did) and then on to Concord where the militia’s arsenal was hidden. Revere never finished his ride – the only rider to actually complete the mission was Samuel Prescott. While Longfellow’s poem is certainly an example of patriotic writing, it should never be considered an accurate source of historical information. (Neither, apparently, should Sarah Palin, who famously said that Paul Revere warned the British by ringing bells; Palin offers sound proof that our public education system’s handling of American history education leaves much to be desired.) So the next time that someone tells you that Paul Revere saved the nation, don’t be afraid to show a little skepticism.